Polished Beauty is able to provide all your skin, nail, beauty, waxing and spray tanning services that you may require for your special wedding day (or days if you include your engagement party and hen’s night). 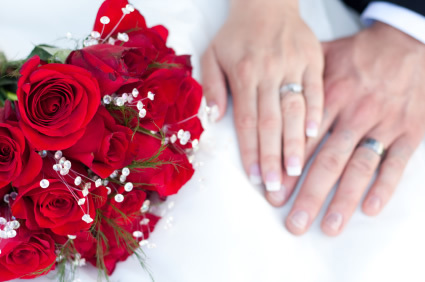 Our team will have you looking amazing for your special day. We regularly have large wedding parties in each week and are experienced at ensuring everything goes to plan so that you have one less thing to worry about. We are also able to provide your bridesmaids, mother-of-the-bride and mother-of-the-groom with any beauty treatments they require to ensure the entire wedding party is well presented. Don’t forget the guys as well. We can do a men’s manicures, any necessary waxing or spray tanning and have your hubby-to-be looking very sharp for the wedding night and honeymoon. It’s important to book in early because our appointment book can fill up fast, especially during wedding season. The more time before the booking also means we have more time to perform a series of skin treatments should you be wanting to improve your skin as well. Complete the form below with as much detail as possible and we will check our appointment book and get back to you shortly. We require a deposit at least 2 weeks prior to the booking to secure the appointment. We will contact you later to arrange this. Once the deposit is paid, the number of services (or total price) cannot be reduced. Services can be added to the Group Booking only if time permits. A deposit reserves the appointment for the client. We are a busy salon and are regularly booked out. Deposits will not be refunded due to a client’s change of mind. If one of the members of the group does not attend the booking, cancels after the deposit is paid or declines to have one of the services done that they are booked in for, the total price will not be reduced. The balance of the bill must be paid on the day in one single transaction (ie. no Split Bills). It is up to you to organise a single payment to Polished Beauty. We can provide you with individual amounts if required.